Featuring the stunning artwork of Valkyria Chronicles 3, the third chapter in SEGA's critically acclaimed tactical RPG series! Valkyria Chronicles 3: Complete Artworks includes story summaries, character designs & profiles, vehicle and weapon designs, and promotional art, all accompanied by creator commentary and interviews. Complete your Valkyria collection with this spectacular volume! Now owning all 3 books, I have to say this book is laid out beautifully. And while I am not going to go into a full detailed review, there are a few things I would like to point out as to why I like this book. 1. It includes the story pages/chapters. This was missing in the 2nd book and I believe added great value to the collection. 2. More art and less in-game 3d renders. Example: Secondary characters are drawn out instead of a 3d game model like in the first book. 3. It's in English. Sad reason to like the book, but it is even more sad that I don't know Japanese to play the game. I now collect Valkyria Chronicle books because I enjoy their art style. I wish the game would be ported over to NA. 4. Attention to detail. The organization and layout of this book are great! The coloring is bright, page layouts, and even fonts make the book feel perfect. 6. Interviews with the Dev Team. If you loved the first book, you will definitely love this one. 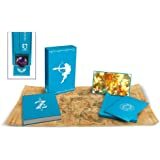 Like the other artbooks for the first two games in the franchise, it's full of detailed art and info about the story, characters, weapons, vehicles and other details of the game. I also have the Japanese edition of this book (imported it before knowing it was going to be translated), and the content is pretty much the same, but in convenient English. 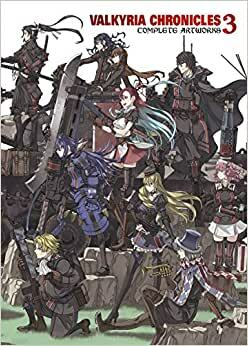 Valkyria Chronicles 3, to this date, was not localized yet, but this artbook is, and if you don't know Japanese, now you can at least read about the game and understand what's happening story-wise. all 3 of them but again this one is the weakest. I still reach for book 1 or 2 before this one.